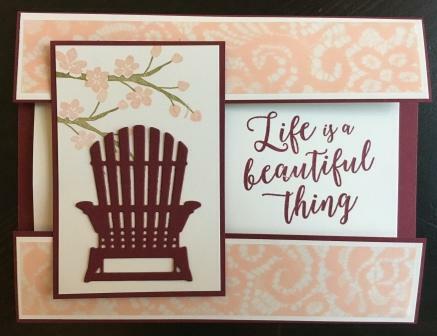 Fancy Folds – Colorful Seasons Stamp Set from Stampin’ Up! I wanted to share a card today, but I have to keep it super quick as I am heading off to my Tech Club that meets in Baldwin, MD this morning. This is one of the Fancy Fold cards we are making! The top and bottom flaps tuck under the focal image of the card. This is such a a fun and easy card. I also look forward to sharing it with my Tech Club member today. Thank you for coming by to visit. Happy weekend!